We’d love your help. Let us know what’s wrong with this preview of HarperCollins Bible Commentary - Revised Edition by James L. Mays. The Bible –– sacred scripture, literary classic, historical document. No matter how it is viewed, it remains the basis of much of Western culture. 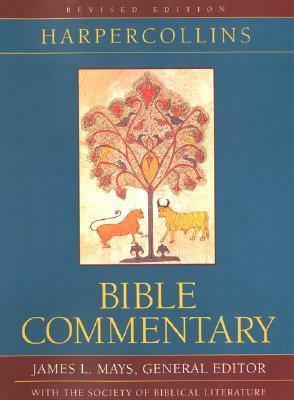 This fully revised edition of the HarperCollins Bible Commentary is the most up–to–date reference book of its kind for understanding and interpreting the meaning of the Bible. The accessible and highly readable format sets a new The Bible –– sacred scripture, literary classic, historical document. No matter how it is viewed, it remains the basis of much of Western culture. This fully revised edition of the HarperCollins Bible Commentary is the most up–to–date reference book of its kind for understanding and interpreting the meaning of the Bible. The accessible and highly readable format sets a new standard for excellence. The HarperCollins Bible Commentary is unprecedented in its clarity, organization, and insight into the Bible. Helpful cross–references to its companion, the HarperCollins Bible Dictionary, mean that readers will have all they need to explore the riches of the Scriptures for years to come. Every section of the Commentary offers concise and authoritative guidance that will enable the reader to return to the text equipped to understand and appreciate the Bible more fully. Each of the eighty–three contributors to this splendid volume is a leading expert in his or her field and a member of the Society of Biblical Literature. They have produced a volume that belongs in homes, schools, houses of worship, and libraries –– wherever there is a Bible. To ask other readers questions about HarperCollins Bible Commentary - Revised Edition, please sign up. The bottom line: A concrete general reference that provides a broad overview of the Bible’s books and its general themes. The HarperCollins Bible Commentary covers all of the Old Testament and the New Testament as well as the books of the Apocrypha. In addition to the commentaries on the individual books of the Bible, there are general essays that locate the books within their particular context (e.g., sociological, historical, cultural, and literary). This adds several degrees of depth that facil The bottom line: A concrete general reference that provides a broad overview of the Bible’s books and its general themes.